internet | Do You Have A Pencil? The city of Westminster is digitizing the saucy diary of a 19 year old wharf clerk, circa 1846. This happy marriage of history and the Interwebs takes you through nearly a year of his life as a bachelor, working man and Londoner. It tickles me when we’re able to experience bits of otherwise forgotten history halfway across the globe thanks to some brilliant folks in tweedy coats with an idea and a computer. 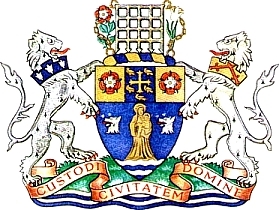 The City of Westminster (for those of you who don’t know, it’s central London and home to some of the biggest Landmarks in the world including Buckingham Palace and Parks Hyde, Regent’s and St. James) has a nifty Web site, complete with interactive map and sticky RSS. Subscribe? Yes, please. Courtesy of my other love, Londonist. Mobile adoption continues to be a fuzzy area, but new stats from Pew demonstrate that the rate of adoption is being led by minority groups in the US.